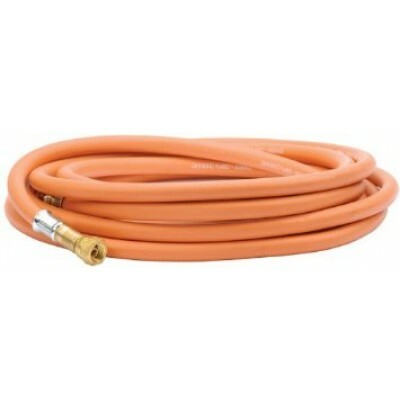 Fitted oxygen hose. High-compression crimp fittings and flame trap check valves. 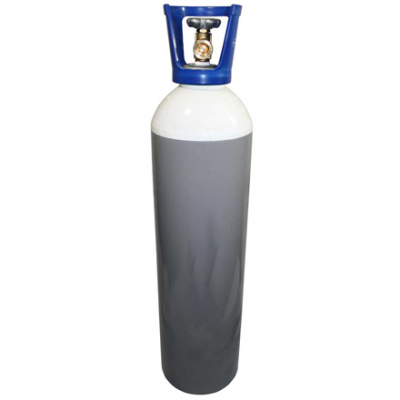 Available in a range of length and bores with of 3/8”. The Gas UK range of fitted hoses and hose sets are complete, ready-made gas-hose solutions, which remove the need for time-consuming hose nut, tail and check-valve attachment. 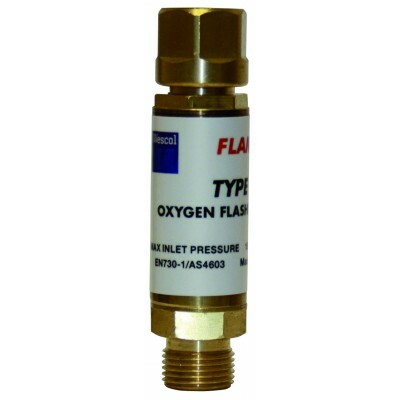 They are manufactured to a level of quality beyond that, of constructed by hand, with the inclusion of high compression fittings at each end of the hose to ensure reliable, gas-tight connections to the hose check valve (at the regulator end) and hose-tail / hose-nut configuration (at the torch end). 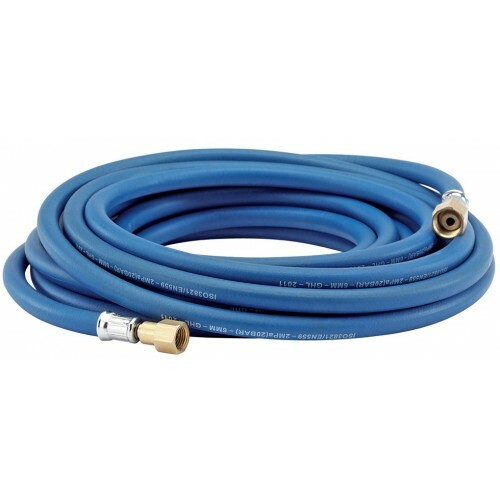 Fitted hoses and hose sets are available with 6mm, 8mm and 10mm bore diameters and standard 3/8” fittings at each end.